Are papal double standards undermining trust in Francis? By contrast, no center-right head of state was present at the meeting, let alone a “right-populist” such as France’s Le Pen. Her economic program, incidentally, isn’t all that different from that of the French Socialist party. She more than matches the Latin American left in denouncing free markets. In many respects, populists of the right and left have more in common than they’re often willing to admit. During his years as Archbishop of Buenos Aires, Pope Francis was censorious, sometimes vividly, of aspects of the populist presidencies of Néstor and Cristina Kirchner. 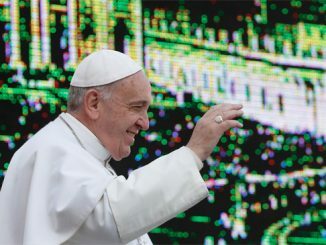 Yet in July 2015, the pope appeared with Morales before the “Second World Meeting of Popular Movements” and delivered a speech which had more than a populist edge to it. Indeed, in the numerous addresses, press conferences, and interviews given by Francis since becoming pope, it’s hard to find any clear criticism of left-populist policies that comes close to matching his impassioned denouncements of market economies. So why are some Latin American Catholics apparently reticent to criticize political movements that have brought such misery to the region? Part of it, I suspect, comes from a healthy desire to ensure that the Church doesn’t get entangled in daily politics. Fair enough. But it may also owe something to particular intellectual currents that have marked Latin American Catholicism in recent decades. Prominent among these has a focus upon el pueblo—“the people”—that has permeated much of Catholic Latin America since the late-1960s. Viewed from this standpoint, the teología del pueblo allowed the Church to underscore its option for the marginalized and poor without taking sides in the interminable conflict between the left and right that dominated Latin America throughout the Cold War. Notwithstanding this, however, the teología del pueblo has its own problems. The first is that it was conceived in a political culture soaked in Perónism: the populist movement associated with the charismatic Argentine president Juan Perón and his wives which still exerts enormous sway over many Argentines’ imaginations. Some people-theologians such Ernesto Lopez Rosas SJ were close to various Perónist movements. Some even saw Perónism as a mechanism which gave political expression to the values they associated with el pueblo. Though it has right-wing and left-wing expressions, Perónism is generally characterized by an anti-elite mentality, a reliance on us-and-them categories, political and economic nationalism, and often bombastic rhetoric. It also looks to charismatic figures to mobilize mass movements which channel the popular will in ways that weaken the resistance of established elites. In this regard, Perónism is a quintessentially populist phenomena. The brutal reality, however, is that Perónist leaders, ideas, and movements have inflicted enormous damage upon Argentina over the past 70 years. Among other things, they have burdened Argentina with bloated state bureaucracies, over-mighty trade unions, massive corruption, and entire constituencies dependent upon political patronage. Over time, Perónism weakened institutional safeguards on political power, not least by facilitating widespread instability and often violence. The problem for the teología del pueblo is that it has difficulty criticizing populist movements such as Perónism because of (1) the special status it accords to “the people” and (2) the emphasis it places on the people’s wisdom. That underscores another difficulty: the teología del pueblo embodies the weaknesses of any set of ideas that makes el pueblo its main reference point. But is Francis really a Perónist? Or does some of his rhetoric just happen to mirror that of Perón and his followers? These are difficult questions to answer, given (1) Perón’s gift for ambiguity and (2) the pitfalls involved in drawing correlations. It’s no secret, for example, that Francis is, like Perón, skeptical about free markets. That, however, doesn’t automatically make the pope a Perónist. Doubts about capitalism run the political gamut, ranging from royalists to Marxists. On the other hand, it was impossible for an Argentine of Jorge Bergoglio’s generation not to have a position vis-à-vis Perón. Perón was in exile between 1955 and 1973. Perónist organizations were officially suppressed. Nevertheless, Perón and Perónism remained the alternative for decades to those dissatisfied with non-Perónist governments. 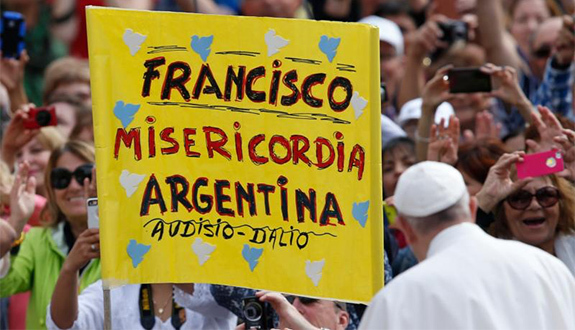 It would also be unsurprising for an Argentine Catholic like Bergoglio to have Perónist sympathies. Perón wasn’t a particularly observant Catholic. At one point, he was formally excommunicated. He also dabbled in Spiritism. Nonetheless, Perón wanted the Church’s support. He occasionally referenced Pius XI’s 1931 encyclical Quadragesimo Anno as one of his inspirations. At one point, a Jesuit, Father Hernán Benítz, functioned as a Perón advisor while serving as Eva’s confessor. He also administered the last rites before she died. Perón turned against the Church in the early 1950s as his regime drifted down the authoritarian path invariably taken by all Latin American populists. The Church particularly resisted its organizations being subsumed into Perón’s corporatist state. Even so, Perón’s populist rhetoric about los descamisados in a highly class-conscious society struck a chord with Argentine Catholics concerned about poverty. This magnified as Argentina’s economic situation continued deteriorating throughout the 1950s, 60s, and 70s. The first is that whether it’s associated with the left or right, and regardless of whether it’s located in Europe, Latin America, Asia, or North America, populism is a deeply ambiguous phenomenon. It’s one thing to critique not-so-elite political and bureaucratic elites who have run out of ideas or whose purpose has become self-perpetuation. That’s a good and often necessary thing. But populism is much better at articulating frustration and generating anger than at producing workable long-term solutions. That’s just as true in Latin America as it is in Europe. This brings me to the second point: the primary political role of Christian leaders—lay, clerical, priests, ministers, bishops, or, dare I say, popes—cannot be that of proto-populist activists. The focus of populists is forever on the immediate. Nor are they especially interested in reasoned discussion about political and economic challenges. Indeed, in a time marked by political short-termism and bombastic emotivism, we don’t need more populist tirades, whatever their political flavor, taking up oxygen in the public square, least of all from the pulpit. Dressing this up as “prophetic witness” doesn’t make it any less hyperbolic than a short four-hour lecture from the late Fidel Castro. Yes, Christians do have concrete and non-negotiable responsibilities to care for the poor. 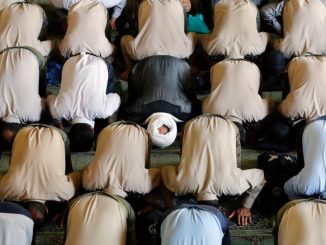 But as leaders of a faith that, at least in its orthodox versions, takes reason very seriously, Christians should insist we cannot emote our way through questions of poverty, wealth, and power. That, I’m increasingly convinced, is part of what it means for Christians to be salt and light in an age of temporal and alas, it seems, ecclesiastical populism. One reason I have described this pontificate as the “papacy of sentimentality” is because of the constant use of emotion in place of calm explanation, an example of which can be found in this rather startling compilation of papal insults. There is the issue of double standards as well, as when Francis refers (quite often) to the “terrorism of gossip” and then gossips himself; or when he denounces those who scold and then scolds on a regular basis; or when he denounces rigidity, dogmatism, and black-and-white viewpoints, but then holds rigidly and dogmatically to views about, say, climate change, economics, or politics. All of which leads me to this observation: It is widely and correctly noted that great leaders must be trustworthy and trusted. 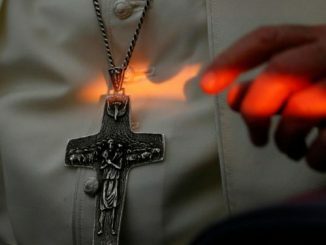 It seems to me that Francis (and many of his most ardent apologists), in a variety of ways, are eroding trust and thus undermining his own leadership. The vast majority of Catholics I talk to—and I’m referring to good Catholics who don’t follow the “inside baseball” of Vatican politics and such—are either bewildered or frustrated by this pontificate. Phil Lawler, in a recent and very strongly worded essay, stated: “Pope Francis, regrettably, has become a source of division. 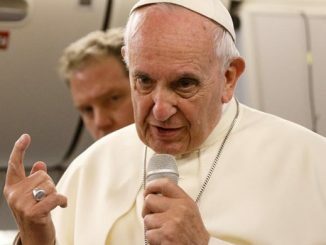 There are two reasons for this unhappy phenomenon: the Pope’s autocratic style of governance and the radical nature of the program that he is relentlessly advancing.” Another reason is that more and more people just aren’t certain if they can trust what he is saying.